For the smaller business, tracking your ROI when advertising on social media can leave you wondering where to start. However, it doesn’t need to be a hugely complicated process that has you delving into analytics, there are a few simple ways to track how much interest your ad is attracting. It’s important to track ads in order to see where your promotions are working most effectively. According to Irv Shapiro of MarketingProfs, Twitter has recently “levelled the playing field” in order to allow smaller companies to compete with brands when advertising on their site. They have done this by partnering with American Express in order to expand the advertising platform for small businesses and as Shapiro points out, this “is just one example of the trend toward increased social media ad spend”. 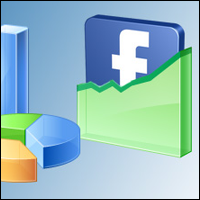 At the back end of last year, Facebook introduced an online tracking tool for eTailers in order to help them track sales which have come from Facebook Pages ads. “Measuring ad effectiveness and outcomes is absolutely crucial to all types of businesses and marketers”. He went on to say that the tool which is now on offer has been a “top customer request for some time”. Of course, in the light of some bad press concerning false likes, Facebook are making more of an effort to support smaller advertisers now. I know this because they called me and offered a free account manager and full guidance if and when I want to continue any advertising campaigns I have had with them in the past. This is something that SMEs and even marketing professionals should take full advantage of if it’s offered to them. There’s nothing like having someone on the end of a phone to help you understand where you might be going wrong. Of course, it’s not the only way you can track what’s what though and there are some simple ways to keep your eye on how many people are connecting with your ad. 1. Landing pages – by having a specific landing page built which only appears when people click through on your ad, you can measure exactly how many people have interacted with it. 2. Contact – including contact details such as a telephone number or email address in your ad can be a great indication of whether the ad is effective or not. Of course, this requires you to ask people where they found you when they make an enquiry. 3. Leave it to the pros – if you’re a small company and have limited resources, then it’s worth the ROI to hire a specialist company to manage your online marketing and social advertising for you. You will then be able to access monthly reports and really allow your marketing to be fine-tuned by someone who is likely to get you better ROI than yourself alone. Many business owners believe that social advertising allows them to better reach their target audience than traditional, or even search, advertising. This is because social allows you to really pin down your target audience by age, demographics, interests and so forth. However, it will of course still need effective planning and this is the real crux of the matter. If you are to advertise on social media, or search, or even by traditional means, then you need to have a good, solid social media strategy in place. Don’t just make up an ad and then throw money at it, you may as well flush it down the toilet. Everyone in business knows that banks or other lenders won’t give them the time of day without a strong business plan and the same rule applies across most, if not all, business practices. However, marketing effectively leads to sales – sales keep your business going – so to lack any kind of strategy before taking the social advertising plunge is a form of social suicide, especially if you haven’t got a strong presence/page already on the medium you’re to advertise on. What’s the biggest challenge you face when calculating the ROI for your social media campaigns?